I had met many interesting men. What impressed me about Peeter Põld was his peaceful benevolence and unselfish dedication to working for the benefit of his homeland. Unavoidably, respect and personal attraction grew. When Peeter Põld proposed, my first thought was: “Am I really good enough to be the spouse of that man?”! 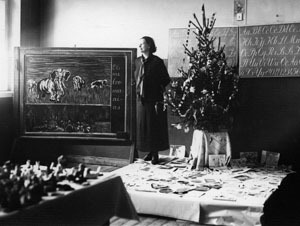 H. Mäelo. Memories of Peeter Põld and his family. In: Peeter Põld Reflected in His Era. Compiled by Helgi Muoni. Tartu University Publishers, 1996. p. 142. 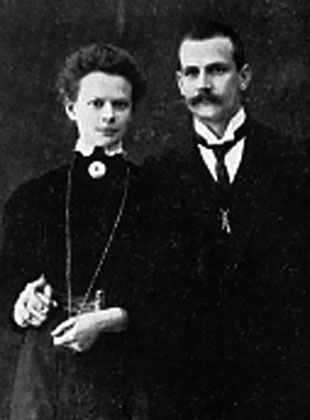 Aspiring educationist Peeter Põld and public school teacher Helmi Einberg were wed in Kose Church in the autumn of 1908. They were married by Peeter’s elder brother, Harald Põld. Helmi Põld (born in 1882 in Järvamaa and died in 1969 in Vancouver, Canada) obtained her qualifications as a primary school teacher at Rakvere in 1900. She then worked as a governess and teacher in Kursk from 1900 to 1903 and as a teacher in Viru and Tartu districts from 1903 to1907. 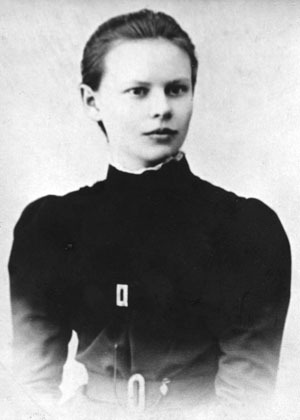 She received her qualifications as a teacher of physical education in Finland in 1907, and worked as a primary school teacher and a teacher of physical education at Tartu Girls Gymnasium from 1907 to 1944. Teacher Helmi Põld at Tartu Girls’ Gymnasium. The teachers’ flat of the Põld family in Munga Street, Tartu. She conducted the first temperance courses for students in 1908, wrote a report on the first temperance congress in St. Petersburg in 1911, was the leader of the Estonian Women’s Temperance Society from 1923 to 1940, one of the initiators of Mother’s Day celebrations in Estonia (which began in 1923); one of the founders of the journal ”Estonian Woman” (first published in 1924), and its editor from 1924 to 1940; she was also a member of the organizing committee of the 18th International Temperance Congress which took place in Tartu, and chaired the Seventh White Ribbon Congress of Women of the Nordic Countries in 1926. She also led the Estonian delegation to the International Temperance Congress in Helsinki in 1939. 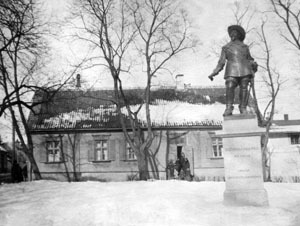 The Põld family lived in the flat on Munga Street near the university or many years. 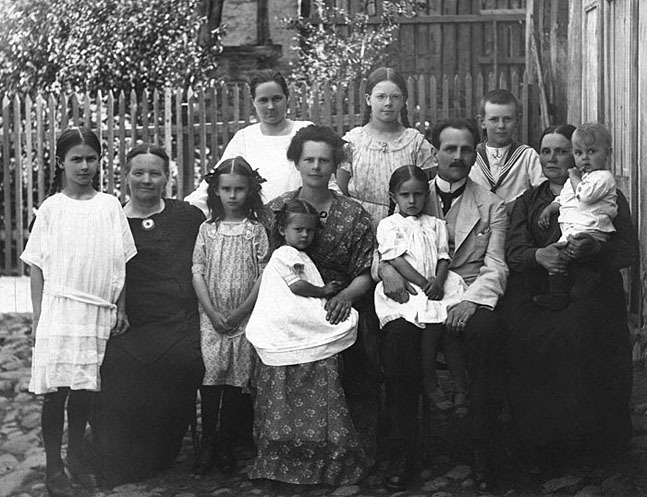 Peeter and Helmi Põld had eleven children. Rarely did educated parents have that many children. However, their family became a model of unity based on religious and ethical principles, diligence and joy. 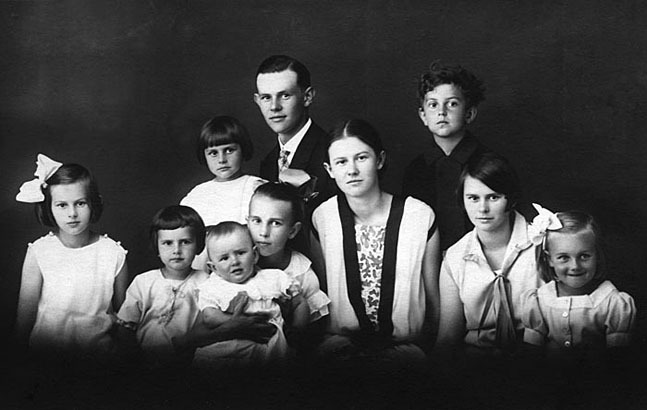 Their children were Agu Põld (1909-1966), Hele Mall Põld (1911-1930), Lehti Kai Sherlow (1912-1999), Peeter Amos Põld (1915-1916), Mari Liis Põld (1917-1930), Anne Reet Veemees (1918-1994), Toomas Jeremias Põld (born 1920), Ester Marta Arro (1921-1970), Mai Mirjam Veemes (born 1923), Helme Rutt Piir (born 1924), and Imbi Kersti Weemes (1927-2008). Peeter Põld drew much strength from his large family, which he clearly expressed in many of his speeches, articles, lectures and courses. He was an unpretentious, hearty, and caring father. Father's letter to his daughter Anne, January 29, 1930. Mothers… I wonder if anyone could point to something that is not influenced by mothers, who create the primary spiritual world for their children. Mothers have enormous capacity to create, and even more to destroy. The future bravery and diligence of our men and the morality and spirituality of our women depend entirely on mothers. P. Põld. About mothers as creators of culture. In: P. Põld. Selected works II. Tartu, 1993, p. 241. In 1944 Helmi P�ld fled to Germany with her 6 children; from there they proceeded to Canada.